Newt Scamander might not be the most personable fellow. He often has difficulty talking with anything that isn’t a mythical creature and he’s definitely a tad bit clumsy when it comes to keeping said magical beasts properly detained. The good news is that for all his personal follies, he still maintains a style that’s quite dapper and on point with the magical community. Now, you can help kick your style up to the level of Newt with this licensed bow tie. 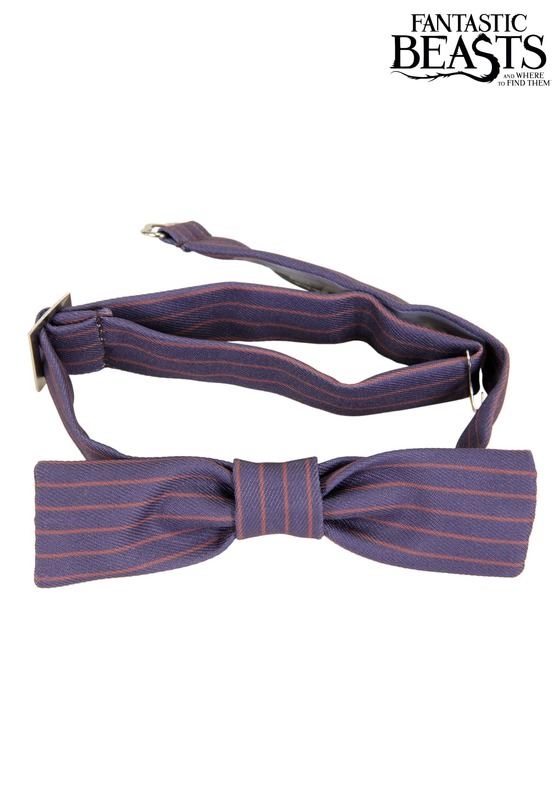 The Newt Scamander bow tie is licensed from the Harry Potter universe and has the distinct pinstripe pattern that he wore during Fantastic Beasts and Where to Find Them. It’s fully adjustable and has a metal clasp in back for fitting. You can add it to your normal, everyday wear, or begin cosplaying as the Hufflepuff alumni character. Either way, you’ll have a smashing new piece of Harry Potter apparel that’s great for any fan of J.K. Rowling’s works.